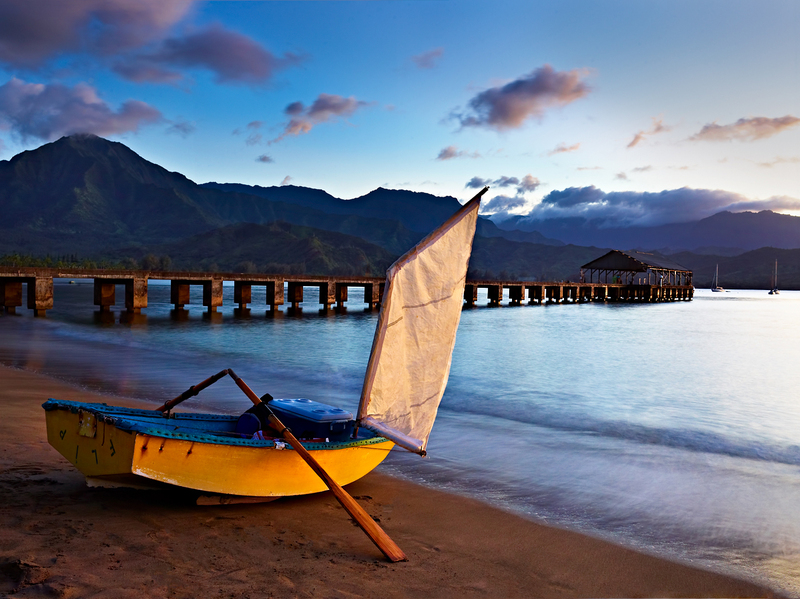 A small boat prepares to launch into Hanalei Bay on the north shore of Kauai. 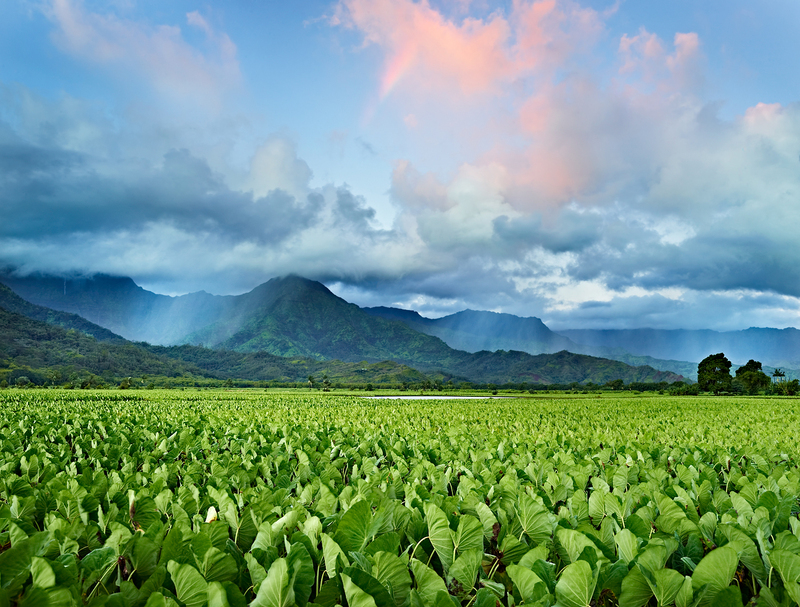 Tucked away on the north shore of Kauai is the town of Hanalei. Home to an eclectic mix of surfers, farmers, and the occasional celebrity, Hanalei is unlike any other town I’ve visited on Kauai. It’s the kind of place where one minute you’re stuck waiting for a taro farmer to pull their tractor across the road and the next you’re waiting in line next to Ben Stiller or Piece Brosnan for your morning cup of coffee. Voted America’s best beach in 2009, Hanalei’s two mile crescent shaped shoreline is met by towering emerald-green mountains and iridescent seas. The largest bay on Kauai, Hanalei is also a popular surf spot on the north shore. On any given day, you’re likely to see thirty to forty surfers catching waves near where Hanalei river meets the bay. 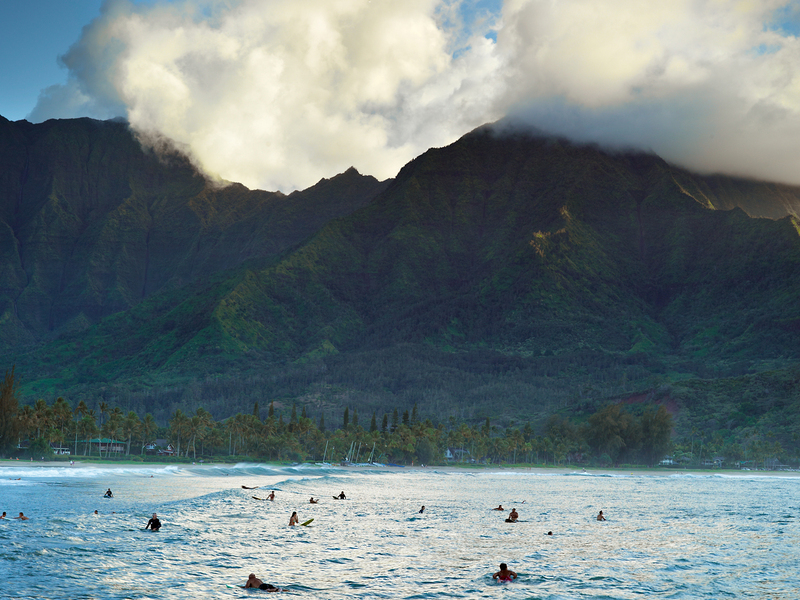 Surfers wait to catch their next set of waves in Hanalei Bay. A few hundred feet away, is the historic 340 foot pier, originally constructed in 1892. The pier is also a popular gathering spot, often lined with fishermen and children (who are all too eager ignore the “no jumping” signs). Three friends contemplate their leap into the bay in Hanalei on the north shore of Hawaii. If you are headed to the north shore, be sure to carve out some time to spend in Hanalei.